Thanksgiving is a blessed opportunity to gather together with family members from near and far. It is a time when many will travel to visit those they may not have seen for years. 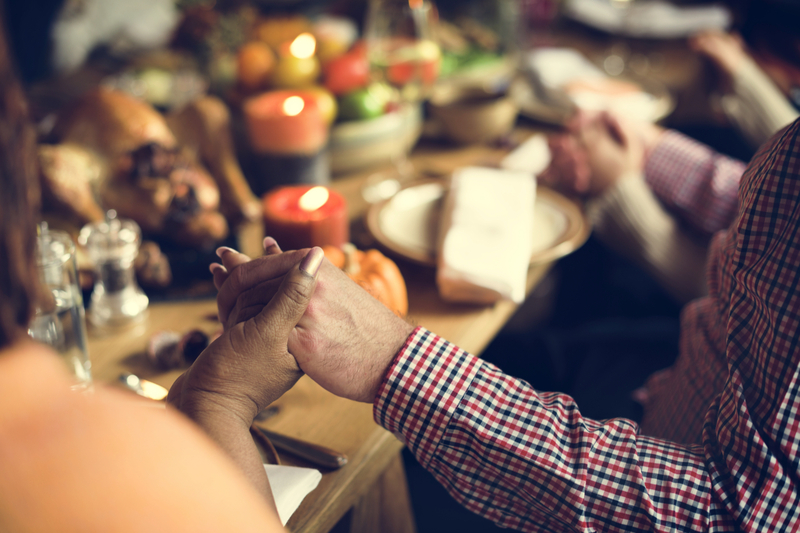 As you gather around the table with loved ones, a special moment is set aside to thank God for His blessings and abundance. For some, this will be a rare opportunity to pray with nonbelieving relatives, as well. Father, in the Name of Jesus, I thank You for this time that we come together in a spirit of gratitude and thanksgiving. Thank You, God, for Your goodness and Your grace to every person here. Thank You that You have provided for all our needs abundantly at the Cross. I pray right now over every member of this family—those seated among us—and those who were not able to gather here. I thank You, God, that it is Your perfect will that not one of us be burdened with sickness or disease. So, we take healing right now in Jesus’ Name. We curse every attempt of the enemy against any and every member of this family right now in the Name of Jesus. I plead the blood of Jesus over every person under the sound of my voice. I speak Psalm 91 protection over them and declare that angels protect them wherever they go. For those who do not know You, Lord, I pray right now that Your love, mercy and grace would overwhelm them—that they might see and know how much You love them, to the point of dying to save them. Help them to know that no matter what they’ve done, You love them, and when they come to You, they are forgiven. Cause them to see that the Great Hope we have in this life is because we have been made Your sons and daughters. We thank You for blessing us as a family, for blessing this nation, and for blessing Your Church. We ask that You would use us to further Your Kingdom and obey You in all things.